Citation Information: J Clin Invest. 2004;113(10):1447-1455. https://doi.org/10.1172/JCI21227. Cortical spreading depression (CSD) is a propagating wave of neuronal and glial depolarization and has been implicated in disorders of neurovascular regulation such as stroke, head trauma, and migraine. In this study, we found that CSD alters blood-brain barrier (BBB) permeability by activating brain MMPs. Beginning at 3–6 hours, MMP-9 levels increased within cortex ipsilateral to the CSD, reaching a maximum at 24 hours and persisting for at least 48 hours. Gelatinolytic activity was detected earliest within the matrix of cortical blood vessels and later within neurons and pia arachnoid (≥3 hours), particularly within piriform cortex; this activity was suppressed by injection of the metalloprotease inhibitor GM6001 or in vitro by the addition of a zinc chelator (1,10-phenanthroline). At 3–24 hours, immunoreactive laminin, endothelial barrier antigen, and zona occludens-1 diminished in the ipsilateral cortex, suggesting that CSD altered proteins critical to the integrity of the BBB. At 3 hours after CSD, plasma protein leakage and brain edema developed contemporaneously. Albumin leakage was suppressed by the administration of GM6001. Protein leakage was not detected in MMP-9–null mice, implicating the MMP-9 isoform in barrier disruption. We conclude that intense neuronal and glial depolarization initiates a cascade that disrupts the BBB via an MMP-9–dependent mechanism. Citation Information: J Clin Invest. 2004;113(10):1456-1464. https://doi.org/10.1172/JCI20864. Alzheimer disease (AD) is characterized by excessive deposition of amyloid β-peptides (Aβ peptides) in the brain. In the nonamyloidogenic pathway, the amyloid precursor protein (APP) is cleaved by the α-secretase within the Aβ peptide sequence. Proteinases of the ADAM family (adisintegrin and metalloproteinase) are the main candidates as physiologically relevant α-secretases, but early lethality of knockout animals prevented a detailed analysis in neuronal cells. To overcome this restriction, we have generated transgenic mice that overexpress either ADAM10 or a catalytically inactive ADAM10 mutant. In this report we show that a moderate neuronal overexpression of ADAM10 in mice transgenic for human APP[V717I] increased the secretion of the neurotrophic soluble α-secretase–released N-terminal APP domain (APPsα), reduced the formation of Aβ peptides, and prevented their deposition in plaques. Functionally, impaired long-term potentiation and cognitive deficits were alleviated. Expression of mutant catalytically inactive ADAM10 led to an enhancement of the number and size of amyloid plaques in the brains of double-transgenic mice. The results provide the first in vivo evidence for a proteinase of the ADAM family as an α-secretase of APP, reveal activation of ADAM10 as a promising therapeutic target, and support the hypothesis that a decrease in α-secretase activity contributes to the development of AD. Citation Information: J Clin Invest. 2004;113(10):1465-1472. https://doi.org/10.1172/JCI21083. Recently, pathological prion protein PrPSc, the putative key constituent of infectious agents causing transmissible spongiform encephalopathies (TSEs), was found in muscles of rodents experimentally infected with scrapie and in patients with Creutzfeldt-Jakob disease (CJD). For the assessment of risk scenarios originating from these findings (e.g., alimentary transmission of pathogens associated with bovine spongiform encephalopathy [BSE] and chronic wasting disease [CWD] via tainted beef and game or iatrogenic dissemination of CJD agent through contaminated surgical instruments) more detailed information about the time course of PrPSc accumulation in muscles at preclinical and clinical stages of incubation is needed. Here we show that PrPSc in muscles of hamsters fed with scrapie can be detected prior to the onset of clinical symptoms, but that the bulk of PrPSc was deposited late in clinical disease. Additionally, regarding the question of how muscles become invaded, we report on the intramuscular location of PrPSc and substantial indications for centrifugal spread of infection from spinal motor neurons to myofibers. Our findings in a well-established animal model for TSEs contribute to a better assessment of the risks for public health emanating from “Prions in skeletal muscle” and provide new insights into the pathophysiological spread of TSE agents through the body. Citation Information: J Clin Invest. 2004;113(9):1344-1352. https://doi.org/10.1172/JCI20449. Control of cancer, neuropathic, and postoperative pain is frequently inadequate or compromised by debilitating side effects. Inhibition or removal of certain nociceptive neurons, while retaining all other sensory modalities and motor function, would represent a new therapeutic approach to control severe pain. The enriched expression of transient receptor potential cation channel, subfamily V, member 1 (TRPV1; also known as the vanilloid receptor, VR1) in nociceptive neurons of the dorsal root and trigeminal ganglia allowed us to test this concept. Administration of the potent TRPV1 agonist resiniferatoxin (RTX) to neuronal perikarya induces calcium cytotoxicity by opening the TRPV1 ion channel and selectively ablates nociceptive neurons. This treatment blocks experimental inflammatory hyperalgesia and neurogenic inflammation in rats and naturally occurring cancer and debilitating arthritic pain in dogs. Sensations of touch, proprioception, and high-threshold mechanosensitive nociception, as well as locomotor function, remained intact in both species. In separate experiments directed at postoperative pain control, subcutaneous administration of RTX transiently disrupted nociceptive nerve endings, yielding reversible analgesia. In human dorsal root ganglion cultures, RTX induced a prolonged increase in intracellular calcium in vanilloid-sensitive neurons, while leaving other, adjacent neurons unaffected. The results suggest that nociceptive neuronal or nerve terminal deletion will be effective and broadly applicable as strategies for pain management. Citation Information: J Clin Invest. 2004;113(9):1353-1363. https://doi.org/10.1172/JCI20425. Eleven studies now report significant associations between schizophrenia and certain haplotypes of single-nucleotide polymorphisms in the gene encoding dysbindin-1 at 6p22.3. Dysbindin-1 is best known as dystrobrevin-binding protein 1 (DTNBP1) and may thus be associated with the dystrophin glycoprotein complex found at certain postsynaptic sites in the brain. Contrary to expectations, however, we found that when compared to matched, nonpsychiatric controls, 73–93% of cases in two schizophrenia populations displayed presynaptic dysbindin-1 reductions averaging 18–42% (P = 0.027–0.0001) at hippocampal formation sites lacking neuronal dystrobrevin (i.e., β-dystrobrevin). The reductions, which were not observed in the anterior cingulate of the same schizophrenia cases, occurred specifically in terminal fields of intrinsic, glutamatergic afferents of the subiculum, the hippocampus proper, and especially the inner molecular layer of the dentate gyrus (DGiml). An inversely correlated increase in vesicular glutamate transporter-1 (VGluT-1) occurred in DGiml of the same schizophrenia cases. Those changes occurred without evidence of axon terminal loss or neuroleptic effects on dysbindin-1 or VGluT-1. Our findings indicate that presynaptic dysbindin-1 reductions independent of the dystrophin glycoprotein complex are frequent in schizophrenia and are related to glutamatergic alterations in intrinsic hippocampal formation connections. Such changes may contribute to the cognitive deficits common in schizophrenia. Citation Information: J Clin Invest. 2004;113(9):1364-1374. https://doi.org/10.1172/JCI20001. Neural stem/progenitor cell (NSPC) migration toward sites of damaged central nervous system (CNS) tissue may represent an adaptive response for the purpose of limiting and/or repairing damage. Little is known of the mechanisms responsible for this migratory response. We constructed a cDNA library of injured mouse forebrain using subtractive suppression hybridization (SSH) to identify genes that were selectively upregulated in the injured hemisphere. We demonstrate that stem cell factor (SCF) mRNA and protein are highly induced in neurons within the zone of injured brain. Additionally, the SCF receptor c-kit is expressed on NSPCs in vitro and in vivo. Finally, we demonstrate that recombinant SCF induces potent NSPC migration in vitro and in vivo through the activation of c-kit on NSPCs. These data suggest that the SCF/c-kit pathway is involved in the migration of NSPCs to sites of brain injury and that SCF may prove useful for inducing progenitor cell recruitment to specific areas of the CNS for cell-based therapeutic strategies. Citation Information: J Clin Invest. 2004;113(7):1059-1068. https://doi.org/10.1172/JCI19971. Programmed cell death pathways have been implicated in the mechanism by which neurons die following brief and prolonged seizures, but the significance of proapoptotic Bcl-2 family proteins in the process remains poorly defined. Expression of the death agonist Bcl-2–interacting mediator of cell death (Bim) is under the control of the forkhead in rhabdomyosarcoma (FKHR) transcription factors. This prompted us to examine the response of this pathway to experimental seizures and in hippocampi from patients with intractable temporal lobe epilepsy. A short period of status epilepticus in rats that damaged the hippocampus activated FKHR/FKHRL-1 and induced a significant increase in expression of Bim. Blocking of FKHR/FKHRL-1 dephosphorylation after seizures improved hippocampal neuronal survival in vivo, and Bim antisense oligonucleotides were neuroprotective against seizures in vitro. Inhibition of Akt increased the FKHR/Bim response and DNA fragmentation within the normally resistant cortex. Analysis of hippocampi from patients with intractable epilepsy revealed that Bim levels were significantly lower than in controls and FKHR was inhibited; we were able to reproduce these results experimentally in rats by evoking multiple brief, noninjurious electroshock seizures. We conclude that Bim expression may be a critical determinant of whether seizures damage the brain, and that its control may be neuroprotective in status epilepticus and epilepsy. Citation Information: J Clin Invest. 2004;113(4):582-590. https://doi.org/10.1172/JCI20216. Cerebellar ataxia, a devastating neurological disease, may be initiated by hyperexcitability of deep cerebellar nuclei (DCN) secondary to loss of inhibitory input from Purkinje neurons that frequently degenerate in this disease. This mechanism predicts that intrinsic DCN hyperexcitability would cause ataxia in the absence of upstream Purkinje degeneration. We report the generation of a transgenic (Tg) model that supports this mechanism of disease initiation. Small-conductance calcium-activated potassium (SK) channels, regulators of firing frequency, were silenced in the CNS of Tg mice with the dominant-inhibitory construct SK3-1B-GFP. Transgene expression was restricted to the DCN within the cerebellum and was detectable beginning on postnatal day 10, concomitant with the onset of cerebellar ataxia. Neurodegeneration was not evident up to the sixth month of age. Recordings from Tg DCN neurons revealed loss of the apamin-sensitive after-hyperpolarization current (IAHP) and increased spontaneous firing through SK channel suppression, indicative of DCN hyperexcitability. Spike duration and other electrogenic conductance were unaffected. Thus, a purely electrical alteration is sufficient to cause cerebellar ataxia, and SK openers such as the neuroprotective agent riluzole may reduce neuronal hyperexcitability and have therapeutic value. This dominant-inhibitory strategy may help define the in vivo role of SK channels in other neuronal pathways. Citation Information: J Clin Invest. 2004;113(2):200-208. https://doi.org/10.1172/JCI19639. Mice containing a disruption of the Hexb gene have provided a useful model system for the study of the human lysosomal storage disorder known as Sandhoff disease (SD). Hexb–/– mice rapidly develop a progressive neurologic disease of ganglioside GM2 and GA2 storage. Our study revealed that the disease states in this model are associated with the appearance of antiganglioside autoantibodies. Both elevation of serum antiganglioside autoantibodies and IgG deposition to CNS neurons were found in the advanced stages of the disease in Hexb–/– mice; serum transfer from these mice showed IgG binding to neurons. To determine the role of these autoantibodies, the Fc receptor γ gene (FcRγ) was additionally disrupted in Hexb–/– mice, as it plays a key role in immune complex–mediated autoimmune diseases. Clinical symptoms were improved and life spans were extended in the Hexb–/–FcRγ–/– mice; the number of apoptotic cells was also decreased. The level of ganglioside accumulation, however, did not change. IgG deposition was also confirmed in the brain of an autopsied SD patient. Taken together, these findings suggest that the production of autoantibodies plays an important role in the pathogenesis of neuropathy in SD and therefore provides a target for novel therapies. Citation Information: J Clin Invest. 2004;113(2):231-242. https://doi.org/10.1172/JCI20138. In several neurodegenerative diseases, axonal degeneration occurs before neuronal death and contributes significantly to patients’ disability. Hereditary spastic paraplegia (HSP) is a genetically heterogeneous condition characterized by selective degeneration of axons of the corticospinal tracts and fasciculus gracilis. 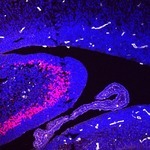 HSP may therefore be considered an exemplary disease to study the local programs mediating axonal degeneration. We have developed a mouse model for autosomal recessive HSP due to mutations in the SPG7 gene encoding the mitochondrial ATPase paraplegin. Paraplegin-deficient mice are affected by a distal axonopathy of spinal and peripheral axons, characterized by axonal swelling and degeneration. We found that mitochondrial morphological abnormalities occurred in synaptic terminals and in distal regions of axons long before the first signs of swelling and degeneration and correlated with onset of motor impairment during a rotarod test. Axonal swellings occur through massive accumulation of organelles and neurofilaments, suggesting impairment of anterograde axonal transport. Retrograde axonal transport is delayed in symptomatic mice. We speculate that local failure of mitochondrial function may affect axonal transport and cause axonal degeneration. Our data suggest that a timely therapeutic intervention may prevent the loss of axons.